GSF received RAFI Grant for mushroom production! In addition to planting many happy seeds and seedlings into our soil as well as jumping into CSA and farmers market season, we are also busy constructing a new hoop house! This recycled hoop house from a retired tobacco farm is part of a grant awarded to Granite Springs Farm through RAFI’s (Rural Advancement Foundation International) Tobacco Reinvestment Fund. The grant will support innovative agriculture production, particularly highlighting oyster mushroom production. 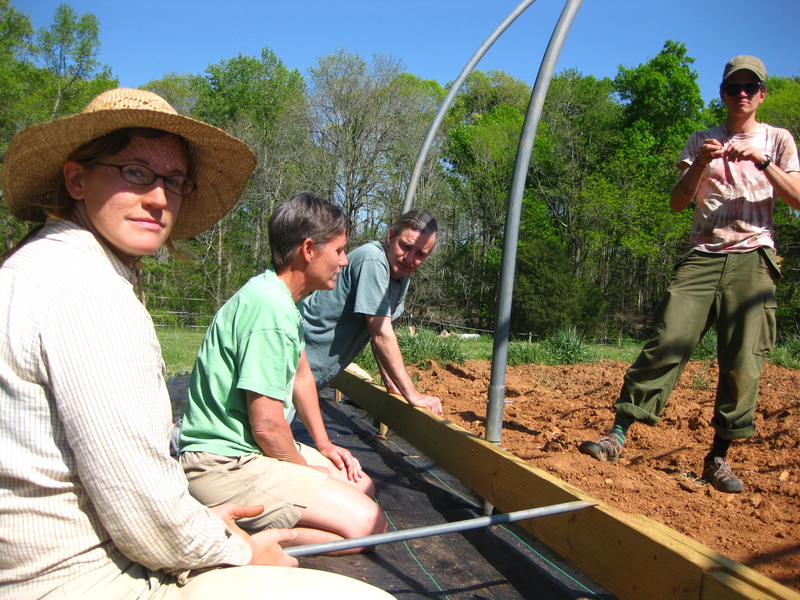 Continue to follow our progress on the hoop house and stay tuned for oyster mushrooms!